I can't believe I never pulled out my camera this weekend with Lauren and Jen visiting. 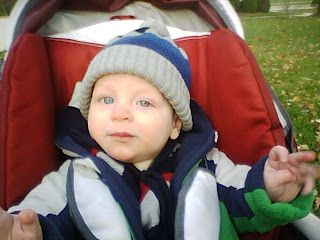 Ben LOVED seeing his aunts and had a great time playing with them. Thank you for coming L&J! 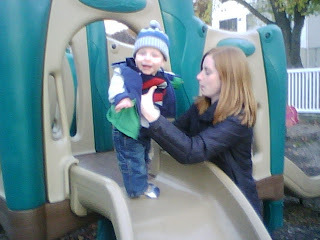 We took Ben on a walk to the play ground up the street where he enjoyed the slide for the first time. These are pictures from my cell phone, so they aren't good at all, but you get the idea.